Old friends, old foes, new adventure! Word has reached Cashal that Abbott Ségdae of Imleach’s trip to the land of the Uí Fidgente on church matters has gone horribly wrong. Abbott Ségdae has been murdered in the fortress of Dún Eochair Mháigh. Making matters worse, Gorman of King Colgú of Cashal Royal Guards is being held for the murder. The worst news is that Abbott Nannid is demanding that Gorman be tried under the Roman Church’s Laws of the Penitentials, which would result in Gorman being hanged. Abbott Nannid is known to Fidelma. He was abbot of Mungairit when Fidelma and Eadulf solved their last mystery. Now, he has transformed the religious community of Dún Eochair Mháigh from an open community to one surrounded by a wall. He proclaims the newly fortified community to be the Abbey of Nechta, and has forced strict adherence to the Penitentials—at least his interpretation of them. Another old foe has also resurfaced and is now leading a band of robbers and murderers which threaten the well being of Prince Donennach’s peace with Cashel. This could endanger Fidelma’s journey to Dún Eochair Mháigh. Gorman has been tried before the chief Brehon of the Uí Fidgente. Punishment under the law of the Brehons forbids execution. Abbott Nannid is demanding execution under the laws of the Church, as passed down by Rome. Prince Donennach is now faced with a no win situation. As ruler of the Uí Fidgente, he has final say as to the punishment of Gorman, should he be found guilty. If he allows Abbott Nannid to execute Gorman he risks war with Cashel. If he rules according to the law of the Brehons, Abbott Nannid threatens revolt against Donennach for control of the kingdom! 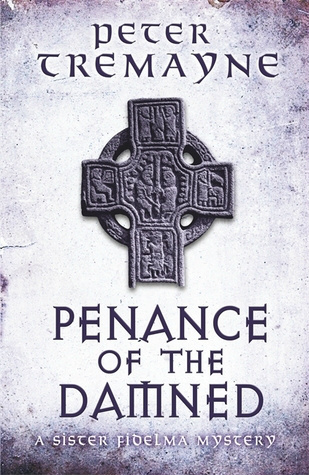 Another gem from the pen of Peter Tremayne, Fidelma of Cashel must discover a way to not only clear Gorman, but unravel a skein of lies and conspiracy. A story which is not only a great mystery novel, but which paints an historical look back at the early days of the Catholic Church in the late 600’s. I always find history as interesting as the story!